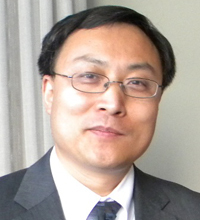 JC Research & Consulting, Inc.
Mr. Gene Chang was born in China. He went to Peking University in 1986.
of 1992, he got his BS degree in Physics from University of San Francisco. In 1996, he got his MBA degree from Columbia Graduate School of Business. an American Chinese media company, and become its Chief Operating Officer. University Alumni Association of Southern California.